The domestic scooter market has witnessed some notable changes over the past two months, the period when the automotive retail sales have been down due to low demand and inventory correction among several other factors. January 2019 saw a total of 497,169 scooters being sold, down 10.21 percent year on year. For the April 2018 to January 2019 period, cumulative sales total 5,821,333 units, up 3.19 percent year on year, but slow going overall. First things first, Suzuki Motorcycle India’s top-selling scooter, the Access 125 has outperformed the second bestselling scooter in the domestic market, the 110cc TVS Jupiter. 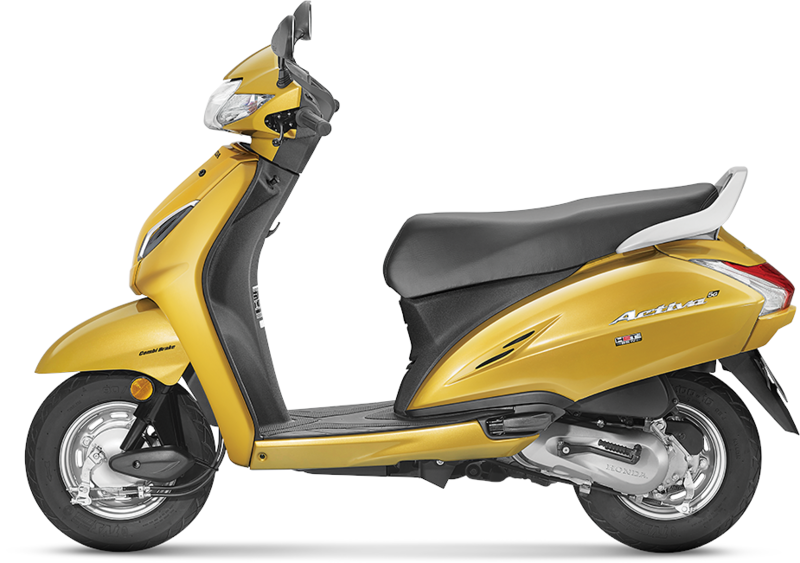 Thus, the Suzuki Access 125 has become India’s second largest selling scooter in January 2019. The Suzuki Access, the Honda’s Activa’s longest running rival, has reported wholesale despatches of 54,524 units in January, thereby recording a substantial YoY jump of 44.31 percent. The Japanese company’s turnaround efforts are finally visible as it continues to work not only on its product portfolio but also on the dealer development side. The consistent and linear growth in the demand for Suzuki Access 125 is to be attributed for this achievement along with the company’s expanding reach across the country. This is a first for Suzuki as well as the Access 125 scooter in at least last 8 years or more. The TVS Jupiter, on the other hand, has reported wholesale volumes of 51,300 units in January 2019, down by 21 percent YoY. The conventional second largest selling scooter is now the third largest. That said, the 110cc Jupiter continues to be a strong contributor to TVS Motor’s monthly sales performance. It is expected that the model will soon see corrections in its wholesale volumes, thereby grabbing its second position unless Suzuki Access 125 continues to stick to its growth trajectory in the future too. The second notable development in the competitive scooter segment is Hero MotoCorp’s performance on the back of its newly launched 125cc scooter – Hero Destini 125, which has clearly outperformed its rivals such as the TVS NTorq and the Honda Grazia. While it is natural for the largest two-wheeler manufacturer to receive to a good response for its aggressively priced newly launched 125cc scooter, thanks to its widespread distribution network across the country, the real report card will be defined by the market response of at least three quarters. 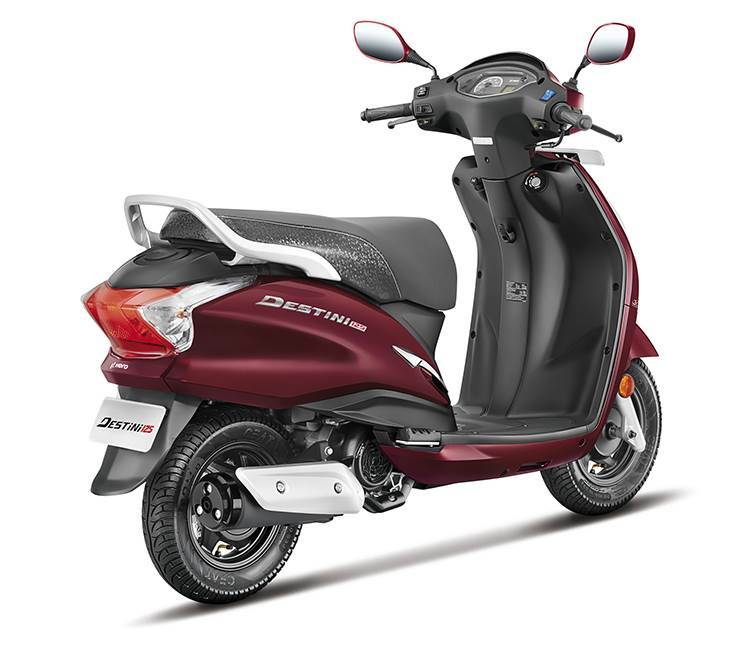 Launched in October 2018, the aggressively priced (sub-Rs 55,000 ex-showroom) Hero Destini 125 had reported wholesale despatches of 17,364 units in December 2018, thereby beating the TVS NTorq, which secured volumes of 16,796 units in the same month. In January 2019 again, the Hero Destini 125 has secured more wholesale volumes than its rivals TVS NTorq and Honda Grazia. While the Hero Destini 125’s wholesale volumes stood at 21,352 units in January 2019, TVS NTorq and Honda Grazia were at 15,836 units and 8,368 units (sharply down by 63 percent YoY) last month. It is to be noted that the Honda Grazia failed to secure a position in the top 10 scooters list in January 2019. The Hero Destini 125 ranked fifth and TVS NTorq ranked sixth in the top 10 bestselling scooters list for January 2019. It would be interesting to gauge how Hero MotoCorp, which has been under tremendous pressure to perform in the growing domestic scooter market, realigns its position when it rolls out the new Maestro Edge 125 in the coming months. 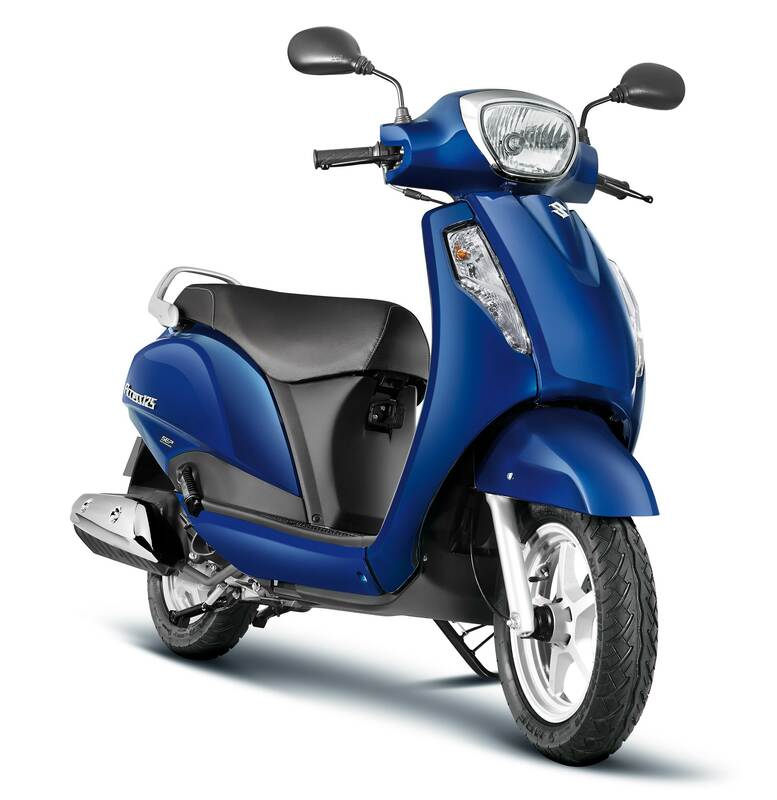 Meanwhile, the Honda Activa continues to lead the scooter market with wholesale despatches of 213,302 units in January 2019 (down 12.52 percent YoY). On the other hand, the Honda Dio, with an impressive YoY growth of 19 percent, has ranked fourth with volumes of 46,854 units last month. These numbers only suggest that the Honda Dio continues to enjoy strong brand equity amongst young and the new-age commuters across cities. Hero’s 102cc Pleasure scooter, which targets urban female commuters, has secured a wholesale volume of 12,892 units in January 2019. It stands at the seventh spot and has declined by 33.76 percent YoY. 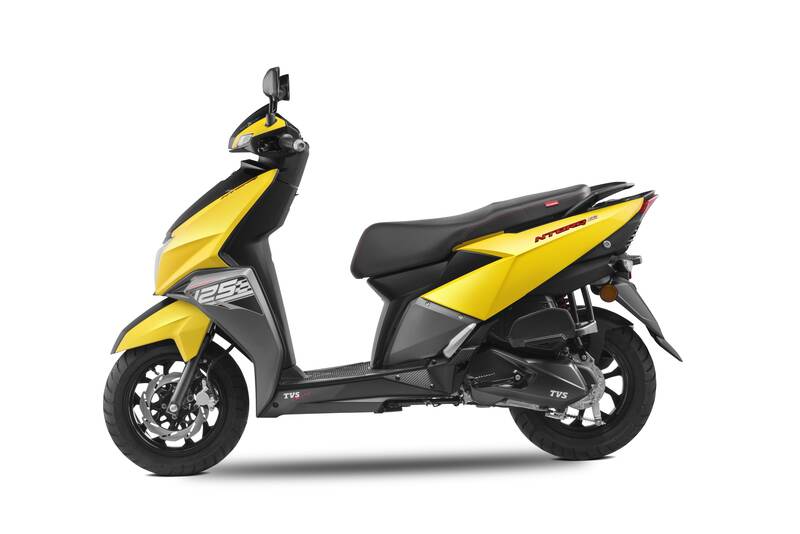 Yamaha’s top-selling scooter, the 113cc Fascino, has now slipped to the eighth spot with reported wholesale dispatches of 12,493 units in Jan 2019. The model has de-grown by 11.54 percent YoY. Hero MotoCorp’s one-time strong scooter brand Maestro, which used to fetch volumes of about 40,000 units per month and gave tough competition to TVS Jupiter and Suzuki Access in the past, has now ranked ninth in the list in Jan 2019. It secured wholesale dispatches of 11,803 units last month, down by 69.21 percent YoY. TVS Motor’s 90cc Pep+ is tenth with volumes of 9,114 units in January 2019, down 13.30 percent YoY. It would be interesting to take note of how this space performs during Q4 FY2019.